Sustainable living students at Maharishi University in Fairfield are creating instruments that can be utilized for a “green”, environment-friendly lifestyle. FAIRFIELD, IOWA — The future of sustainable energy may be right here in the Heartland. At Maharishi University in Fairfield, about 90 students are enrolled as sustainable living majors. They create and use different types of equipment that contribute to a “green”, environmentally friendly lifestyle. Lonnie Gamble is a professor in the program, which he sees as cutting edge. The students work in groups to create and utilize their projects. Jimmy Leritz and his group took leftover vegetable oil from local restaurants and converted it to deisel fuel, that they use to fuel their school bus and the students’ own vehicles. Robert Belding-Miller and his group built a wind tower as a source of energy. “We’re trying to make this building entirely sustainable, so that’s a really good wind generator that will generate enough energy to power several classrooms here,” Belding-Miller said. Yet another group project was the construction of an “information wall”, consisting of two differently colored light bulbs to alert the building’s visitors to the current status of energy supply. The focus on renewable energy is only just beginning, but the projects created by these students are the first steps toward a sustainable lifestyle. See: Haiku For Sali, Hoku For Sali, Sally’s Smile (Haiku for Nurse Dan), and Haiku for Sali II and Haiku Muse. This photo, with text, was posted on Oprah Winfrey’s Facebook page. OWN also showed previews from her upcoming shows, including a few clips from her visit here. This episode is scheduled to air early in the year. Watch a sneak peek of Oprah’s Next Chapter. Read more: First Look: Oprah’s Next Chapter. Now more clips available from Doctor Oz’s Dec 7 exclusive interview with Oprah. In this candid one-on-one interview, Oprah discusses her life after the Oprah show. She details her aspirations, challenges, how she knew it was time to make a change and found the courage to do it. Part 3 at 1:00–1:15, shows clips of her visit with the Vedic Pandits, and Part 7 at 1:15–3:00, Oprah discusses rush hour in Fairfield, Iowa, TM Town, where everyone goes to the domes to meditate, how TM benefits her and all her employees who do TM twice a day at work, and the value of taking time for your Self in that way. See related events/posts: Reports of Oprah’s visit to Fairfield, Iowa and Oprah says she and her staff meditate, enjoy a Quiet Time twice a day—Facebook Live interview. Here’s a report on the interview with Dr. Oz, reported in Miami Spirituality Examiner: Oprah Discusses Her Life After the Practice of Transcendental Meditation. And a recent post on the TM Blog Oprah Winfrey talks TM with Dr. Mehmet Oz. For more, see: Some Reports on Dr. Oz’s Interview with Oprah about TM and her Next Chapter. 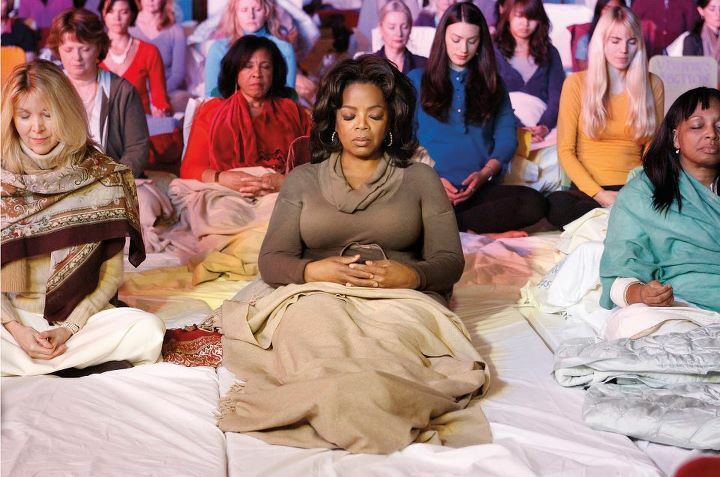 And this latest news: Oprah writes in O Mag about her visit to TM Town and meditating with ladies in their Golden Dome | OWN: Oprah Visits America’s Most Unusual Town, Sunday, March 25, 8 p.m. CT, 9-10 p.m. ET/PT. 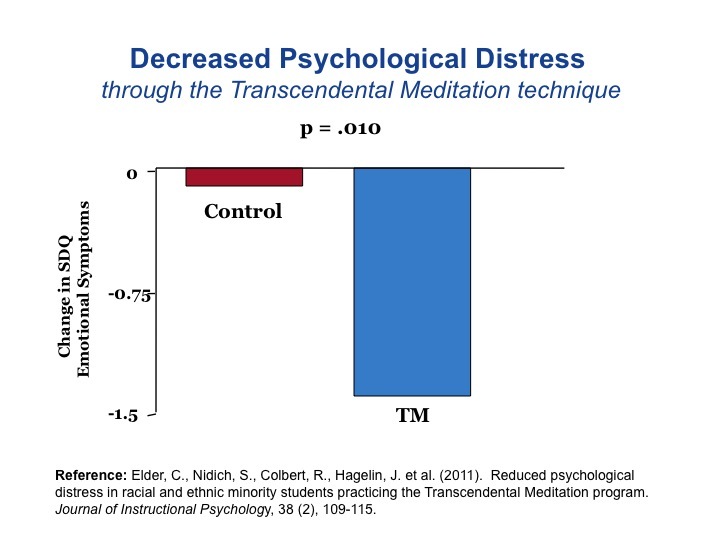 This graph shows a 36 percent reduction in psychological distress in 106 at-risk racial and ethnic minority students practicing the Transcendental Meditation technique compared to controls over a period of 4 months (p=.010). Significant decreases were also found in trait anxiety and depressive symptoms. With record levels of student stress reported in a recent UCLA survey, can a simple stress-reducing meditation technique be a viable solution? A new study published in the Journal of Instructional Psychology found the Transcendental Meditation (TM) technique significantly decreased psychological distress in public school students. The study, conducted with at-risk minority secondary school students, showed a 36 percent reduction in overall psychological distress. Significant decreases were also found in trait anxiety and depressive symptoms. The percentage of students in the UCLA survey reporting good or above-average high school emotional health dropped from 55.3 percent in 2009 to 51.9 percent in 2010. This marks the lowest level within the past 25 years. Dr. Charles Elder, MD, lead author of the TM study, and investigator at Kaiser Permanente Center for Health Research, emphasized the important implications of the findings on reduced stress. “It is vital that we start addressing the high levels of emotional stress being reported by high school and college students. Decreased stress can have a positive impact on mental health, and can also reduce the risk for hypertension, obesity, and diabetes—major risk factors for heart disease,” explained Dr. Elder. Educational research has also linked student stress to negative school behavior and poor academic performance. “These new findings on reduced stress, along with the recent research on academic achievement gains, hold tremendous promise for public education,” said Sanford Nidich, EdD, principal investigator, and professor of education at Maharishi University of Management. “There is a growing body of evidence showing Transcendental Meditation to be an easy to implement, value-added educational program that promotes emotional health and increases academic achievement in at-risk students,” said Dr. Nidich. A total of 106 secondary school students, 87% racial and ethnic minorities, took part in the study. Results showed that over a four-month period, students practicing Transcendental Meditation as part of their schools’ Quiet Time program exhibited significant reductions in psychological distress factors compared to controls. This study evaluated change in psychological distress factors in students practicing the Transcendental Meditation program compared to non-meditating controls. A total of 106 students (68 meditating and 38 non-meditating students), took part in the study. The study included students from four public secondary schools. Eighty-seven percent were racial and ethnic minority students, including 26% Hispanic, 25% African American, and 19% American Indian. The Transcendental Meditation program was practiced in class twice a day as part of the schools’ Quiet Time program for four months prior to posttesting. The Transcendental Meditation program was taught in the context of school-wide Quiet Time programs in which students voluntarily chose the Quiet Time program in which they wanted to participate. Transcendental Meditation is a simple, natural, effortless technique that allows the mind to settle down and experience a silent yet awake state of awareness, a state of “restful alertness.” Practice of this stress-reduction program does not involve any change in beliefs, values, religion, or lifestyle. Compared to eyes-closed rest, research has found that Transcendental Meditation practice is characterized by decreased activation or arousal of the autonomic nervous system, as reflected in decreased breath rate and lower sympathetic nervous system activity. The Transcendental Meditation program has been shown to increase electroencephalographic (EEG) brain integration and coherence, especially in the frontal area of the brain, responsible for higher-order processing. Other published research on high school and college students has shown reduced psychological distress, improved positive coping ability, decreased blood pressure, reduced cardiovascular reactivity to stressful stimuli, reduced absenteeism, and decreased school suspensions. Results of the current study indicated significant reductions in overall psychological distress (p=.010) and trait anxiety (p=.035) compared to controls. Within-in group differences in depressive symptoms were found for meditating students (p=.003). Reported on: Science Codex, sciencenewslinemedicine, PsychCentral: Meditation May Help Ease School Stress, Times of India: Beat stress with transcendental meditation (IANS), The Behavioral Medicine Report: Transcendental Meditation Significantly Decreased Psychological Distress In Public School Students, among others. TM Blog: New research finds TM helps ease school stress, Ken Chawkin. See related study: New research shows Transcendental Meditation improves standardized academic achievement. This photo of a family of Canadian Geese was taken by Ken West Iowa Landscape and Nature Photography. Ken West and his unique landscape photographs are featured on IPTV show Iowa Outdoors. For more on Mary Oliver see The Journey by Mary Oliver, with links to other poems and an interview with Maria Shriver. Listen to Krista Tippett interview Mary Oliver about her creative process On Being: Listening to the World. Another beautiful poem by Mary Oliver is The Swan. Other beautiful poems by Mary Oliver are posted here. MUM faculty member Ken West is well known for his beautiful Iowa landscape photographs, which are really quite amazing! 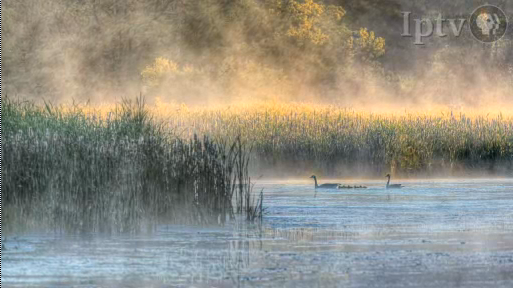 Here is a link to a video segment on the IPTV show Iowa Outdoors about his landscape photography, and another link to his gallery of photos: Ken West Iowa Landscape and Nature Photography: http://sweetlightgallery.com. A fourth generation professional photographer, Ken uses HDR, or High Dynamic Range Photography to capture all of the painterly hues and light, which he explains and demonstrates in the video. 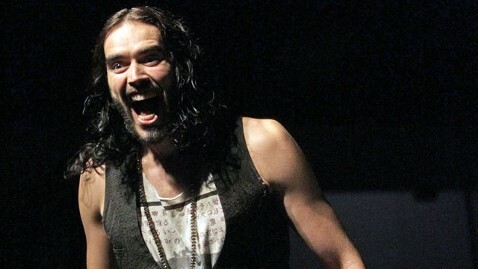 This beautiful photo is on the video from 5:10-5:15. You can see a larger clearer version of it by going to Wild Geese by Mary Oliver, photo by Ken West and clicking on it. And the small colored abstract square you see next to the link in your finder at the top left, or on the right next to my comments, was taken from one of Ken’s photos and used as the blog picture, or icon, for The Uncarved Blog. You can see the photo at the bottom of How The Uncarved Blog got its name. Click on it and it will open up in a larger format. Ken also collaborated with Jane Roman Pitt putting his images to her song, Iowa Gold, to create a beautiful video recorded with other Fairfield artists: Fairfield Artists and Musicians Share in Iowa Gold.